Worldwide icon-chevron-right North America icon-chevron-right United States icon-chevron-right California icon-chevron-right Los Angeles icon-chevron-right Is this a golden age for film? Movie enthusiasts always bang on about the Golden Age of Cinema, but there’s no consensus as to when that hallowed age actually took place. Was it the 1920s, when budgets were huge, cameras were mobile and sound was just a dream, leading to soaring spectaculars like Metropolis and Sunrise? Was it the 1950s, when world cinema collided with postwar Hollywood and the line between art and commerce cracked open in everything from Night of the Hunter to Rashomon? Or was it the 1970s, when the breakdown of the studio system led to an anything-goes attitude at every level of the industry, from Sweet Sweetback’s Baadasssss Song to Star Wars? Or could it be closer to home? Look at our own decade, and especially the year just gone. Cinema hasn’t felt so fresh, so exciting, so heartfelt and passionate in as long as most of us can remember. 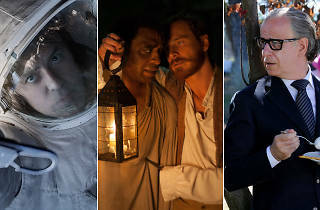 Innovation and integrity are back in force, from the competition lineup at the Cannes Film Festival and the likely nominees in the Oscar race to the no-budget digital ghetto and the bleeding edge of special-effects cinema. It’s been a long road to get here. The first years of the new millennium produced their fair share of memorable movies, but something fundamental was missing. There was a weariness in the film industry; a sense, perhaps, that all the great stories had been told: the few truly great movies of that decade, such as In the Mood For Love and There Will Be Blood, looked to the past for their inspiration. The internet was a lurking, ever-present threat. Digital advances meant that anyone could make a movie, but, with technique taking a back seat to enthusiasm, the majority of these DIY efforts were unwatchable. Hollywood was happier than ever to rest on its laurels, to pump out sequels and remakes, leaving the multiplexes full but our imaginations empty. But a glance back over 2013’s critical big-hitters suggests that the winds are changing. It’s hard to recall a year in which Time Out has rewarded so many films with five-star reviews, including the sprawling baroque richness of Italy's The Great Beauty, the spare emotional intensity of Blue Is the Warmest Color, the giddy charm of I Wish and the aloof intellectualism of Upstream Color. 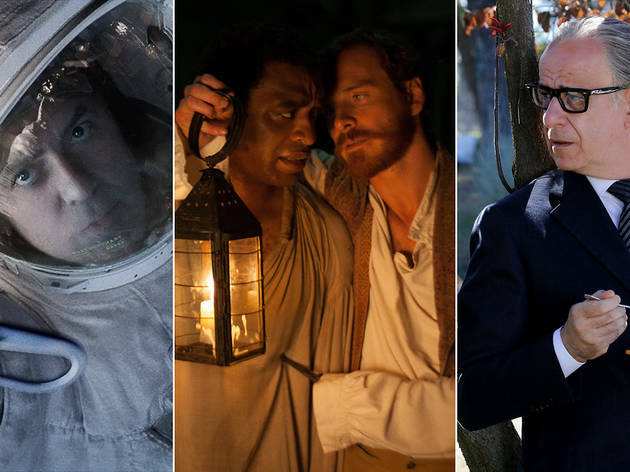 And it’s not over yet: the next few months see an onslaught of top-rated releases such as Under the Skin, Inside Llewyn Davis and devastating Oscar frontrunner 12 Years a Slave. 2013 was also the year in which ultra-low-budget cinema began to kick against its own limitations: Andrew Bujalski’s Computer Chess combined mock-doc, social satire and sci-fi to joyous effect; Ben Wheatley’s A Field in England showed how much was possible with five actors, one camera and a meadow; and Don Hertzfeldt’s entirely self-created It’s Such a Beautiful Day rivalled Stanley Kubrick and Terrence Malick in its overreaching cosmic loveliness. There’s hope, too, for Hollywood: 2013's summer blockbusters may have been underwhelming, but Gravity was a retina-scorching vindication of the power of special effects. Meanwhile The Avengers and its spinoffs are turning into the most entertaining soap opera in history. And whatever you think of Cloud Atlas, it’s impossible to deny its vaulting ambition. So could this be a new golden age? Well, why not, when filmmakers like Steve McQueen, Abdellatif Kechiche and Don Hertzfeldt are only just hitting their stride, while masters like Paolo Sorrentino, Michael Haneke, Hirokazu Kore-eda and Alfonso Cuaron show no signs of flagging? When blinding newcomers like Adele Exarchopoulos and Greta Gerwig rub shoulders with George Clooney and Cate Blanchett in the awards stakes? When film is—perhaps for the first time in its history—truly democratic, and truly global? Perhaps such questions can only be answered in hindsight. I do know one thing, though—I'm bracing myself for 2014.